While the earliest type of paper can be traced all the way back to around 100 A.D., it wasn’t until 105 A.D. that the art of papermaking came about. A Chinese Imperial Court official by the name of Cai Lun broke the bark of a mulberry tree into fibres, added bamboo, hemp, cloth and even old fishing nets, and pounded the mixture to form a sheet. Voilà! Paper was born, and the Chinese were suddenly responsible for one of the greatest inventions in history. It is estimated that there are at least twenty thousand identifiable uses for paper in the world today. Its ubiquity means it is often taken for granted and undervalued. But the humble piece of paper has much more to it than meets the eye. It’s indispensable. Needless to say, without it, our lives would be very different. Paper is the most widely used material in arts and crafts, and so versatile that it lends itself to a variety of techniques. 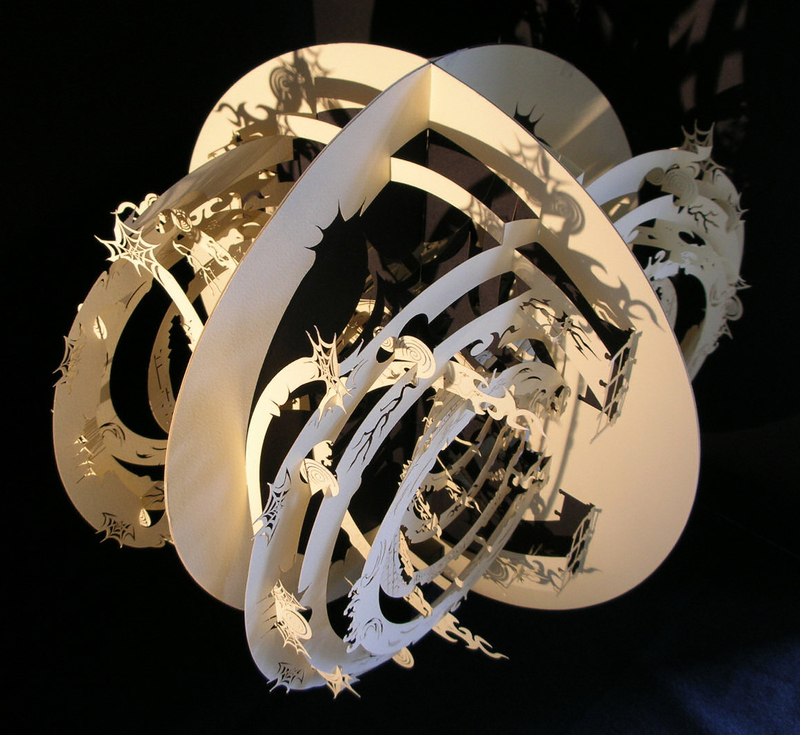 Papercraft is one such technique, encompassing a host of artistic processes ranging from effective simplicity to the downright near impossible. While there are those who still practise traditional methods, others are breaking boundaries and trying something new. With that in mind, I’d like to present twelve of the very best papercraft artists from around the world. The art of paper cutting originated in China during the 6th century A.D. Proud of her heritage and the craftsmanship of her ancestors, Hong Kong-born artist Bovey Lee practises the ancient art form using traditional techniques, incorporating just a little of today’s technology. 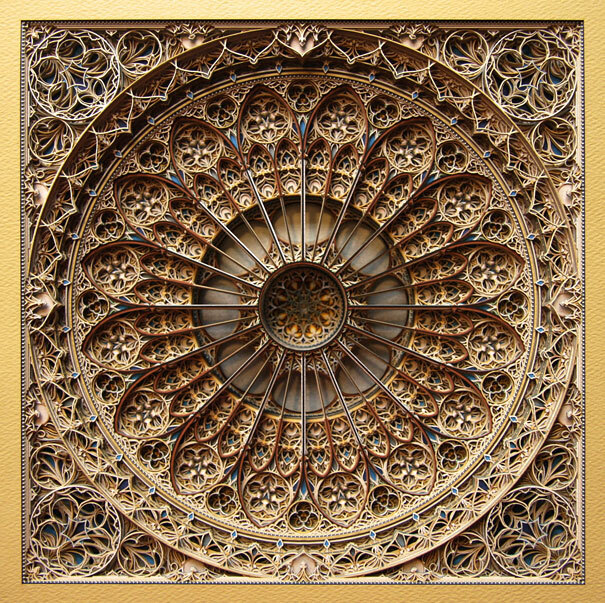 All of her intricate designs are rendered on a computer, transferred to rice paper, and then cut using a precision knife – not a laser as many of us would assume. The level of detail in her work is truly astonishing, and to know that everything has been cut by hand makes it all the more impressive. 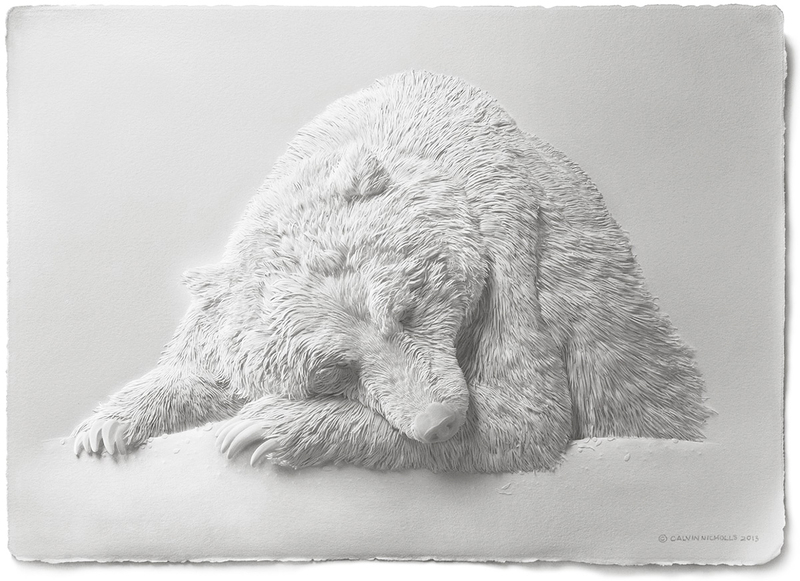 This Canadian artist has won a whole host of awards for his bas-relief paper sculptures of the world’s most beautiful creatures, and it’s easy to see why. The painstaking method Calvin has been perfecting since the mid-1980s involves layering hundreds of intricately hand cut pieces of paper to form unbelievably detailed representations of birds and animals. The paper he uses is 100% cotton, archival quality – a pivotal factor for collectors, and Calvin has collectors aplenty. Taking us from the muted tones of white and grey through to all the colours of the rainbow is Colombian artist and designer Diana Beltran Herrera. 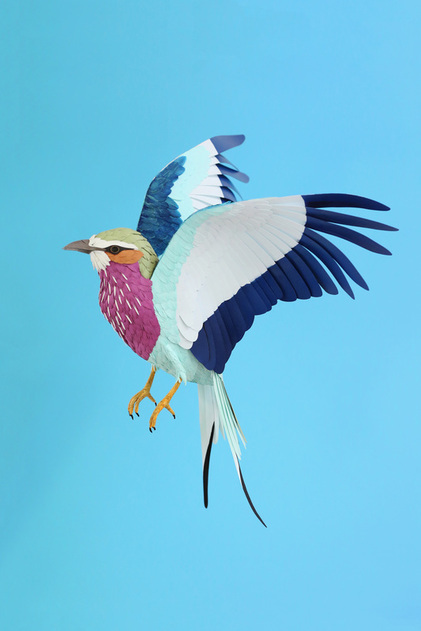 Driven by her concern for the ever-growing distance between humans and the natural world, she produces paper sculptures of birds in all their splendid glory in an attempt to reconnect us with nature. The beautiful fragility of her creations emphasizes the vulnerability of our planet, and reminds us that we need to do what we can to ensure these magnificent creatures are around for generations to come. Showcasing a combination of digital illustration, paper textures, and a mix of both real and artificial shadows is Estonian graphic designer and illustrator Eiko Ojala. Although he works digitally, he shuns 3D software in favour of drawing everything by hand, giving his scenes the appearance of having been cut from paper. Almost as impressive as his work is his client list, and I, for one, can’t wait to see what this young artist is going to do next. Eric’s 3D paper creations are proof that both diligent attention to detail and unwavering patience can realise the impossible. Taking inspiration from the geometry of Gothic and Islamic architecture, specifically embellishments like stained glass windows, Eric has been known to spend up to a year designing and constructing just one of his magnificent pieces. Approximately 250 sheets of paper, each individually cut by a laser, are layered on top of one other to create an intricate sculpture that presents us with a seemingly infinite level of detail. 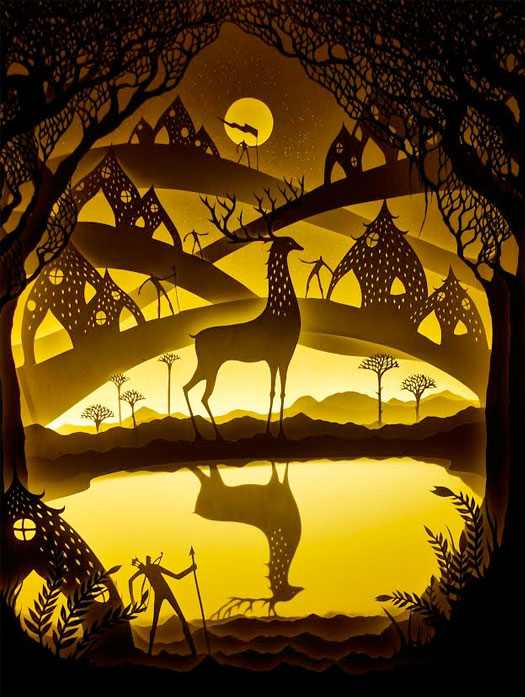 Colorado-based artists Harikrishnan Panicker and Deepti Nair create delicate cut paper dioramas that, when illuminated, come to life before your very eyes. Inspired by the mystical concept of shadow puppetry, their scenes depict myths, legends and fairy tales infused with science fiction. Each diorama is made from layers of hand-cut watercolour paper placed inside a shadow box, and lit from behind or below with flexible LED strips. When exhibiting at a gallery, the rooms are often darkened – the only light, that of these beautiful light boxes. It’s easy to see where Manchester-based artist Helen draws the inspiration for her paper creations. 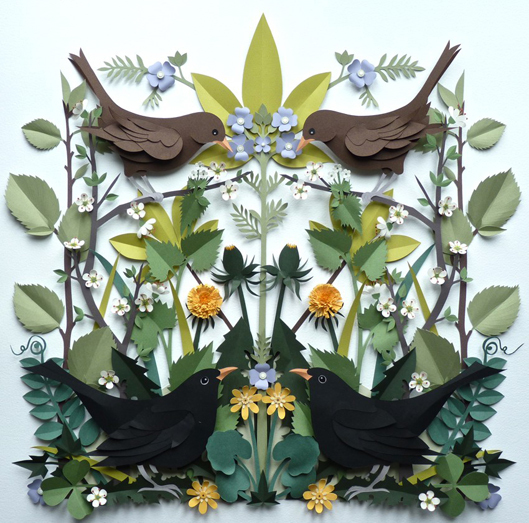 Her affinity with nature leads her to build complex, multi-layered scenes featuring flora, fauna, and all of the pretty little details you would expect to see during a stroll through the British countryside. She has been commissioned by both national and international brands including Cadbury, The Guardian, Stella McCartney and The Sunday Times. 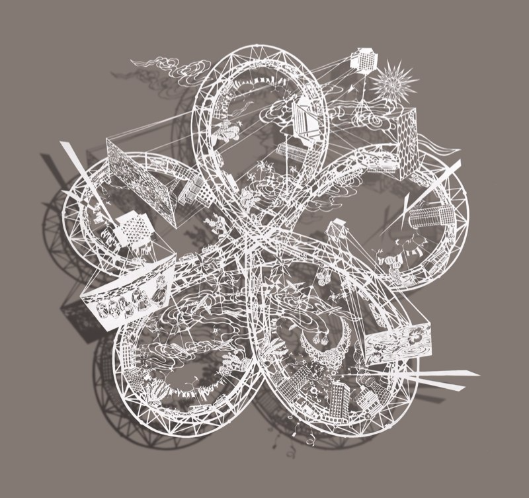 This Amsterdam-based artist specialises in paper architecture, an art form that was developed by Prof. Masahiro Chatani in the early 1980s. Each of Ingrid’s pieces is created from a single sheet of paper, and as many as 30 prototypes are constructed before she settles on a final design. 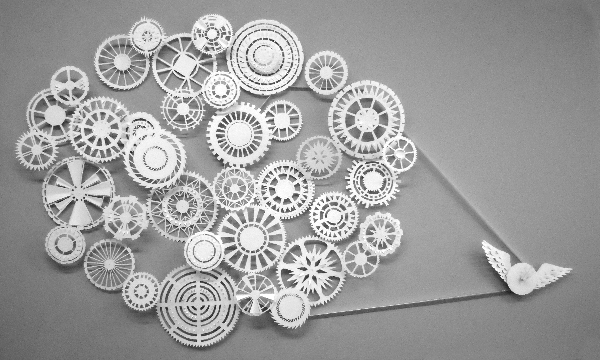 She builds paper recreations of buildings made by master architects as well as her own abstract sculptures. French art director, illustrator, and set designer Mathilde Nivet takes visual merchandising to a whole new level with her stunning paper window displays. Her work can only be described as dreamy, romantic and intoxicating, and it’s not difficult to see why prestigious names such as Bulgari, Chanel, Guerlain and Hermès are adorning their windows with her show-stopping creations. We’re all familiar with origami, but how about kirigami? Well, it’s similar to origami in that it favours the use of paper, but instead of relying solely on a series of strategically placed folds to create a structure, the paper has to be cut too. Just a few years ago, Marc Hagan-Guirey aka Paper Dandy began practising this highly specialised art, and now, using only a scalpel, he can transform a single sheet of A4 paper into a stunning piece of three-dimensional architecture. 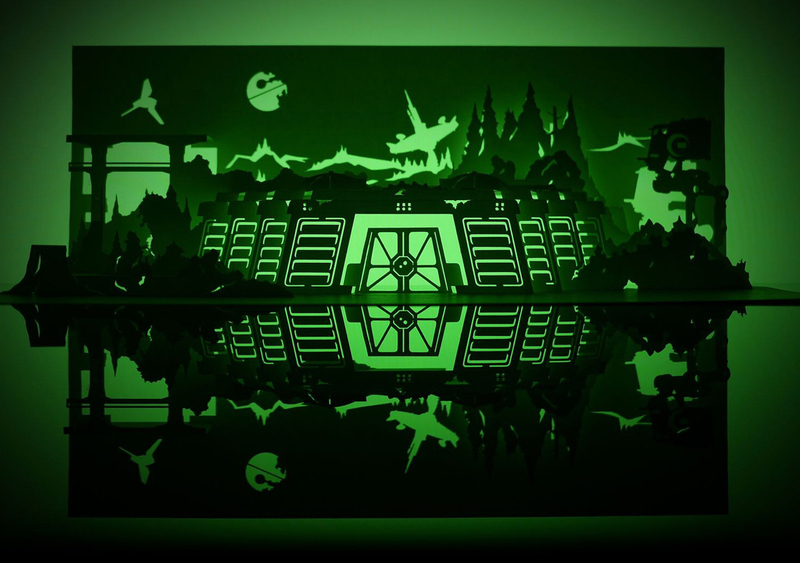 Following critical acclaim for his first collection ‘Horrorgami’, he went on to produce a number of iconic scenes from the Star Wars franchise – another triumphant success for this talented paper artist. Her background might be in graphic design and illustration, but it’s “drawing with paper” that brings Yulia Brodskaya the greatest joy of all. 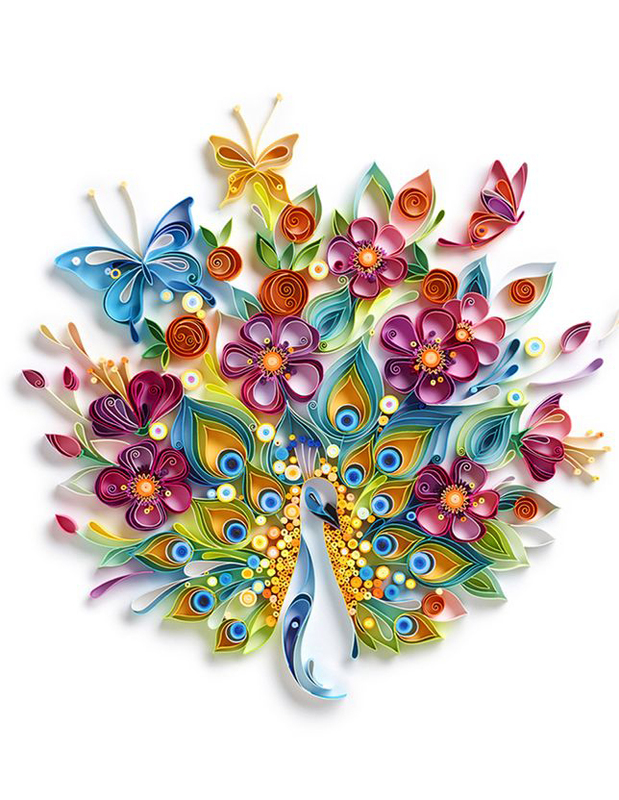 She has reinvented the traditional technique of quilling by incorporating other papercraft techniques to form detailed, eye-catching designs that have garnered commissions from the likes of Ford, Issey Miyake, King’s College, and Wimbledon. A veritable feast for the eyes. Japanese designer and architect Yusuke Oono has created an innovative series of 360° storybooks, the likes of which you’ll have never seen before. 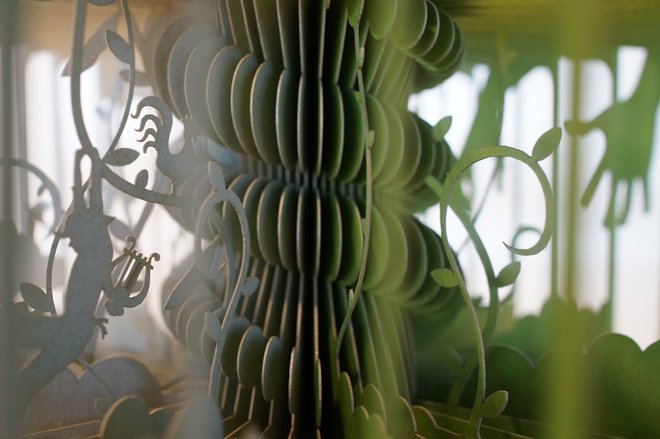 Each is comprised of 40 laser cut scenes that, when fanned out, form a layered diorama of silhouettes. These miniature worlds made from paper are so enchanting, you’ll wish you were small enough to climb inside and experience the story as one of Yusuke’s laser cut characters. 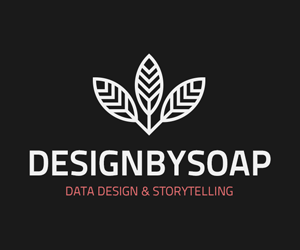 To date, he has reinvented well-known classics such as Jack and the Beanstalk, The Jungle Book and Snow White, and produced promotional books for Lexus and FabCafe. With demand so high, there will be plenty more to come. How can a page with this much going on not have drawn a single comment since it was published in 2016? I am on the look out for a paper diorama artist… have emailed a few people and places about a concept I have. My deadline is early October (end of September to be safe). I actually thought I could attempt something like this myself, but stocking up on the materials would set me up in a business I wouldn’t last five minutes in. The examples above are exceptional!